Exeter is a rugged, Durance-class cargo ship that supports a crew of 4 to 8. She comes with a shuttle as well as a all-terrain buggy; is well armed for when things get rough, and carries a complement of escape pods as a last resort. With a spacious cargo bay and a 10-cabin passenger deck, this ship has something for everyone and room to grow. The original Exter has been extended and improved so now she’s even better than before. Originally constructed by Dosojin Transport Inc., the vessel spent thirty years in routine corporate service before being sold to the Exeter family. With her designation changed from “Dosojin VI” to “Exeter’s Folly”, and later just “Exeter”, this rugged vessel spent another two decades as a private merchant running a wide variety of contracts and jobs of opportunity. Meanwhile, the original Durance design has been adopted and modified by the military to produce the ORCA troop transport. With barracks for 30 soldiers and the addition of a pair of Aries-class hover tanks, this “Off-world Recon & Combat Asset” will get the job done. This update to the classic Exeter includes the refit version, the ORCA troop transport, and a couple of variants for extra cargo or extra passenger options. • 30 page PDF file detailing the ship and interior areas. • Contains 3D rendered scenes as well as orthographic views of the ships. • Includes system independent statistics designed for easy adaption to your game of choice. • Background, art, and text are on different layers for custom display and printing. • 48 page PDF file containing complete interior maps and instructions for assembly. • Miniature-scale maps for tactical combat with an optional 1 inch = 5 ft grid. • Divided into pages for easy printing in full color or printer-friendly black and white. • Selectable layers include: grid, black & white version, and optional objects. • Two single page PDF files containing huge images (26x36 and 26x43 inches) of the Exeter and ORCA deckplans. • Select either a light or dark background (for printing or projection/display). • Includes layers for grid, black & white version, optional cargo, and background choice. • Giant JPEG images of the uncut maps are also provided. The second in the “Refit” series of Armada Codex, Exeter-B is a complete update of the ship first presented in issue #6 of Future Armada. This one fully replaces and expands the Armada version of Exeter. As with all issues of the Codex, this product is designed to give you a ready-made ship to drop into your setting and rules of choice - lending depth and detail to your campaign. When it’s time to play, zero hour is ready! Since I already own the Exeter, I'm wondering if there is any reason to get this too? When comparing the preview on the 0 hour site to what I already own, I can't tell what the difference it that makes it updated and expanded. The refit adds a few more pages for the back end of the ship - there's a little garage at the aft end, with an observation deck and tail-gunner turret overhead. It also adds some variant decks for extra cargo or passengers, and for the ORCA troop-transport. These are all just variants though - the core ship is still the same as the original, though the map has been polished and re-rendered at a higher resolution. People who don't have either issue should definitely buy (only) this one, but if you already have the original Exeter, this one is certainly optional. 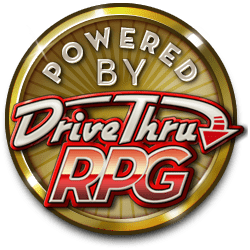 I'll see if I can get the RPGNow system to send out a half price coupon to everyone who bought the original. That would be more in line with the value added by the refit. Well that would be lovely. I will await your success enthusiastically! It has been done. If you didn't get the e-mail, let me know ( 0-hr@mail.com ) and I'll resend it. And if anyone bought both Exeter issues before I sent this out, contact me and I'll make amends. First… lets break down what you get. 2 – Exeter-B-Pages.pdf – What if I told you that all of the incredible art work above was laid out in a map book that you could print, and put together on your table? That is what pages is. Pages is the ship...See more (several versions actually) set up so that you can print her out and give her to your players. Amazing. 3 – Exeter-B-Uncut.zip – This is actually several files, JPG’s and PDFs but essentially these are POSTERS for the ship. Beautiful, full color floorplan POSTERS of the ship! Honestly, they could sell these separately and I would buy them. My Final Comment – Where in the hell is the paperback? Or Hardback? Regardless of system, be it Starfinder, Traveler, Star Wars, Firefly... what have you, this is the book you want to have for your players. Ignore stats, ignore rules. Any rules system you have could easily be applied to this series of ships. And should be. Because this will end up being their home. Outstanding work and well worth 5 dollars, and 5 stars. When you get a print version lemme know. I’ll give that six stars. Note – Pay attention sellers… this is how you do this. The text drew me in. I did not even look at the previews. I saw what they were putting out and then looked at the paltry price and said… Oh Hell.. for 5 bucks I will give this a try. I can honestly say that this is the best five dollars I have spent on RPGNow in a very long time. I saw this beauty on 0-hr.com and came here to take a look at it... then I saw your amazing review. I'm sold. =) Will be picking this up very shortly. Thank you for your enthusiastic review!! All part of the service. You have to yell from the tops of mountains when companies go above and beyond. In this case.. they absolutely did. This title was added to our catalog on November 27, 2017.